May the colour and lights of Onam fill your home with happiness and joy. 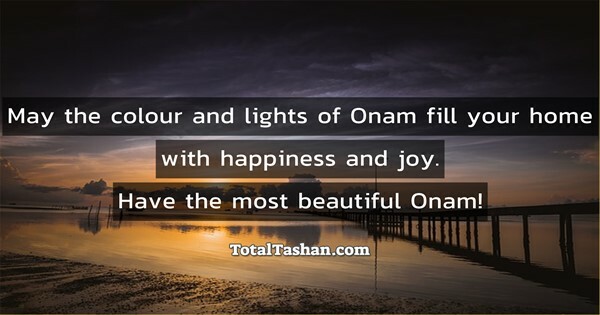 Have the most beautiful Onam! May the festival of Onam bring you immense bounties of nature. 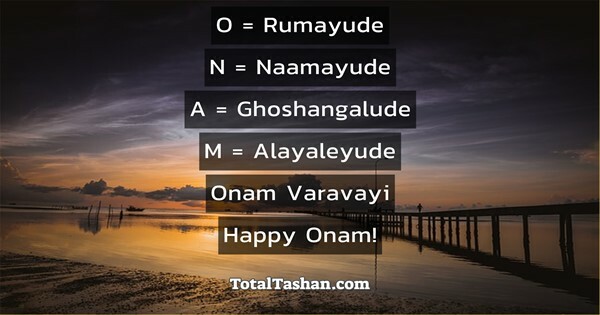 A Happy Onam to all! 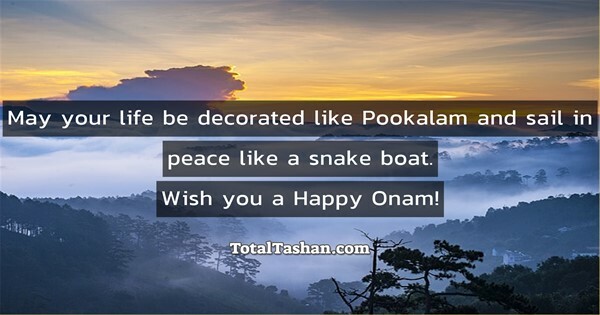 May your life be decorated like Pookalam and sail in peace like a snake boat. 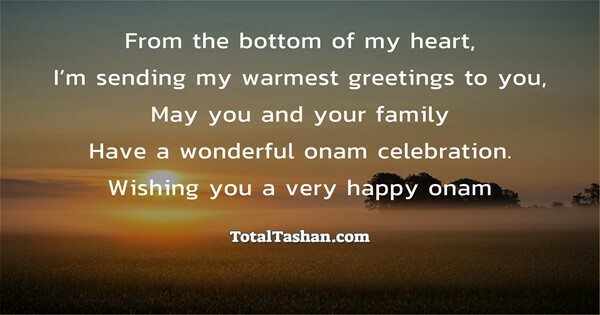 Wish you a Happy Onam! May this festive of Onam be the harbinger of peace, happiness and prosperity. 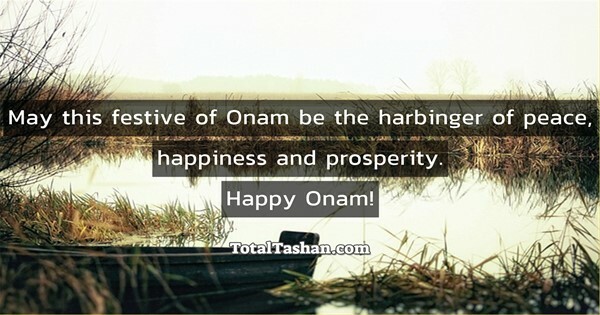 Onam is not just a festival to cherish, but a moment to reincarnate a past of prosperity and goodness. 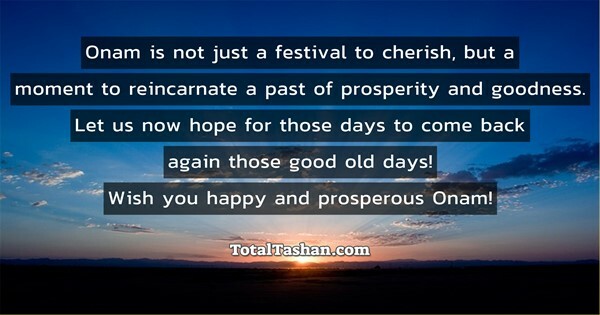 Let us now hope for those days to come back again those good old days! 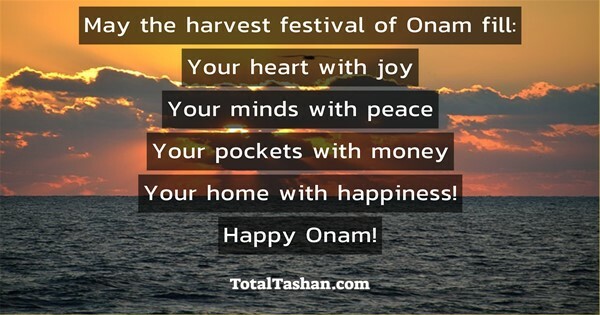 Wish you happy and prosperous Onam! May Lord Vamana bless you with a wonderful harvest of your deeds at all times and on this festive occasion, may you reap a wonderful harvest of crop, relationship, and happiness. 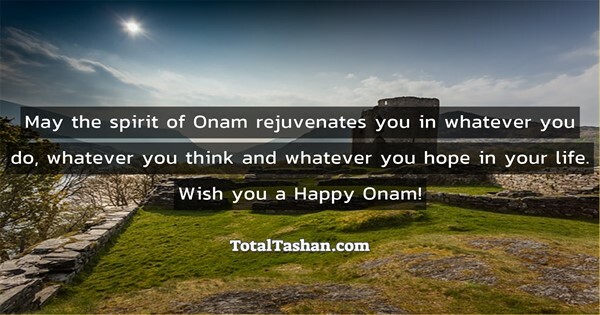 May the spirit of Onam rejuvenates you in whatever you do, whatever you think and whatever you hope in your life. 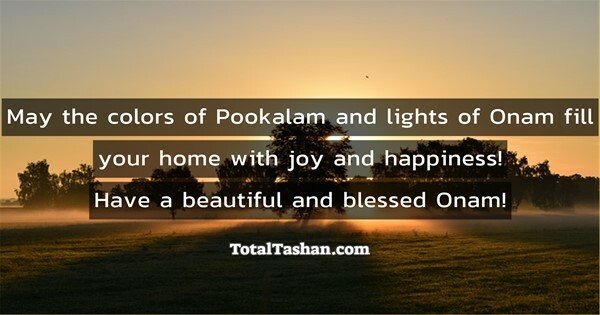 May the colors of Pookalam and lights of Onam fill your home with joy and happiness! 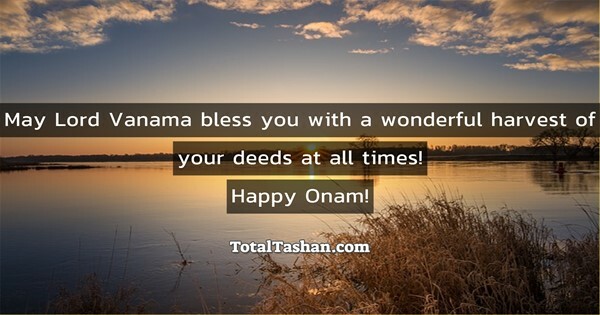 Have a beautiful and blessed Onam! 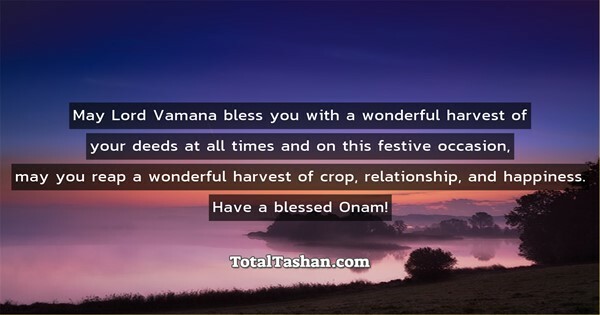 May Lord Vanama bless you with a wonderful harvest of your deeds at all times! 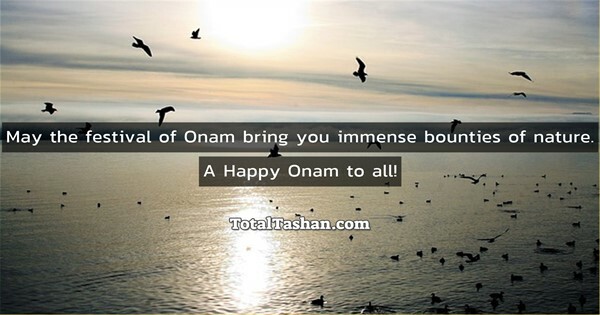 Have a wonderful onam celebration.